Are you tired of fundraising? Are you sick of selling products that people don’t want or spending all of Saturday washing cars? 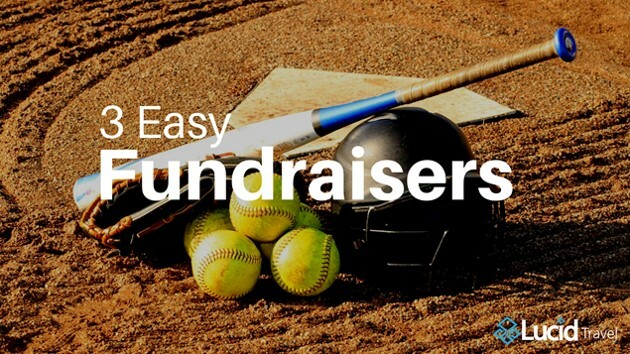 We get it - raising money for your team is a huge hassle. It’s time for a new fundraising model to emerge that is built to be simple and easily sellable (meaning people actually want it). We believe travel is the answer. By travel, we don’t mean some bloated travel agency with high fees, we are talking about using the exact same online booking websites you already use. Websites like Priceline, Booking.com, Expedia, KAYAK, Hotels.com and more. What if you could book travel on those websites, at the exact same price as normal, but up to 5% of every booking is given back to the team? Good news - you can. 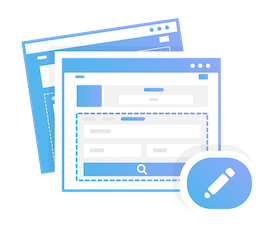 Teams can register (for Free) at lucidtravel.us and get their own team page with a search box that links to popular travel booking websites like Priceline, Booking.com, and Hotel Planner. It literally takes 60 seconds to register and set up your account. We’re going to walk you through 3 of the easiest and most effective ways teams have raised money by using Lucid Travel. Yes, you can actually raise money for your team every time you book hotels online. Lucid Travel is partnered with industry leaders like Priceline, Booking.com and Hotel Planner so you get the same great rates but up to 5% is given back to your team. It just so happens that selling something to yourself is really easy - especially when you already have to buy it. Before you share your team page on every social media account you own, pause for a second. The most effective method is to first, share your page with direct family. Moms and dads are usually the ones that buy 95% of what you’re selling - this time, it’s actually something they could use. Also, they’re good about sharing it with Aunt Susie, Neighbor Lou and Grandpa Joe (work smart not hard). The second most effective method is spreading the word to your broader network. This can mean social media but doesn’t always have to. Maybe you could reach out to the alumni network to see if your team page could be added to their website. Maybe you find a local event being hosted in your area and call to be listed as a travel option. Point is - be creative, people’s first thought is to spam their social media networks with a pitch and a link but you have to think outside the box to raise the big bucks. This is probably the most exciting part of our platform, but it takes a special person to bring light to its value. Every time you refer a team to register with Lucid Travel, your team gets $25 after they raise their first $25. Luckily, we made this super simple to do. You will have your very own referral link that you can send to anyone you know. When your invitee opens your link, they will be tagged as your referral automatically. The moment they sign up, they will populate in your list of teams you invited so that you know that you’re getting credit for them. Contacting university rec departments - our product is a great fit for college club programs and makes up the core of our business. The average university has ~30 competitive club teams. You do the math, 30 teams x $25/team = $750… not bad for a 30 min call. Point is - this is something that can really make an impact, fast. If this sounds like something your team could utilize - register today. If it doesn’t, please let us know what we need to do to make it valuable for you and your team. Your feedback is critical to help us continue to grow. Our job is to understand what we need to do to make you absolutely love our product and share it with everyone you know. The only way we can do that is by working with teams to understand what that looks like.